If you don’t know by now that being prepared is the most important thing, well now you know! It’s frustrating to watch movies and TV where people get lost and they just keep wandering, never to be found, or some how miraculously saved. 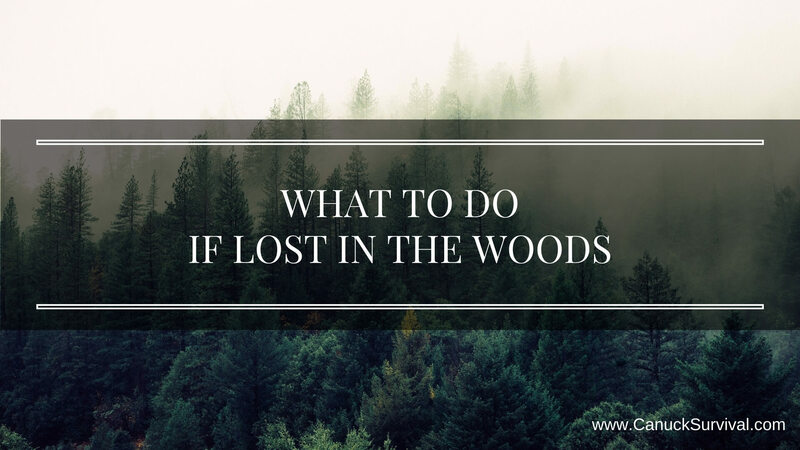 I realize it’s just a movie but you need to know what to do if lost in the woods! This didn’t come to mind until this Life Pro Tip (LPT) appeared on Reddit and got me thinking… people truly don’t know what to do when they’re lost? Don’t go anywhere. As /u/MimzytheBun pointed out in the LPT, as soon as you find yourself in unfamiliar territory and consider yourself lost, STOP! Remain calm and keep a level head. Staying in one spot increases your chances of being found and keeping a level head helps you create a plan of action. Where you stopped is your new home until you’re found. Create markings by breaking branches, moving stones, digging trenches, anything that looks man made. If you must wander (which you shouldn’t) always create a trail you can follow back and don’t go further than 20 steps in any direction. This is especially important if it’s close to night fall. One more reason to read the suggested books in the best survival books list BEFORE heading out. Best thing is to find a cave (make sure it’s empty of other inhabitants), look for fallen or leaning trees to create a shelter, or create your own simple A-frame shelter. It doesn’t have to be perfect but you need to protect yourself from the elements one way or another. If you brought a lighter, matches, or other fire making hardware with you (which you should have) then you’re all set. If not, then you’ll have to use the hand drill or bow drill method. Both of these take practice so if you foresee spending time in the woods learn and practice these! Obviously be smart when creating fire. If you have time, do it before the sun sets. If it’s nighttime, hopefully you got that shelter done and your fire going. Try and get some sleep and look for food and water in the morning. Be sure to bring water to a bubbling boil for 3 minutes before consuming to kill any bacteria. Best case is you have packed a metal canteen to use for drinking and boiling or even better a Lifestraw. If you don’t have anything to and don’t eat any plants if you don’t know what it is. Learn what you can and can’t eat by reading the recommended survival guides. Now you’re all set to wait it out. Assuming you’ve notified people where you were going beforehand, stay put and someone will find you. Don’t rely on cell phones to bail you out of trouble, the batteries don’t last and they often lose signal in dense forest. Duh, right? I know, I know. But I can’t stress enough how important being prepared is. You need the knowledge, skills, clothing, the gear, and practice before immersing yourself in nature. She can be a cruel mistress, but also your means of survival when used properly. Thanks for reading! Have you ever been lost in the woods or have some tips of your own to share? Leave a comment below!